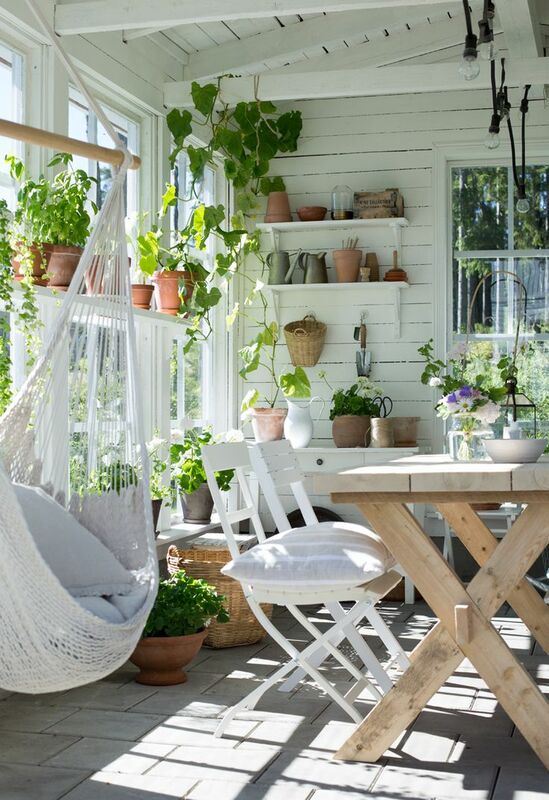 Summer is among us and the thought of spending more time outside is a pleasant and greatly anticipated one – whether it be for dining alfresco or brushing up on gardening skills. 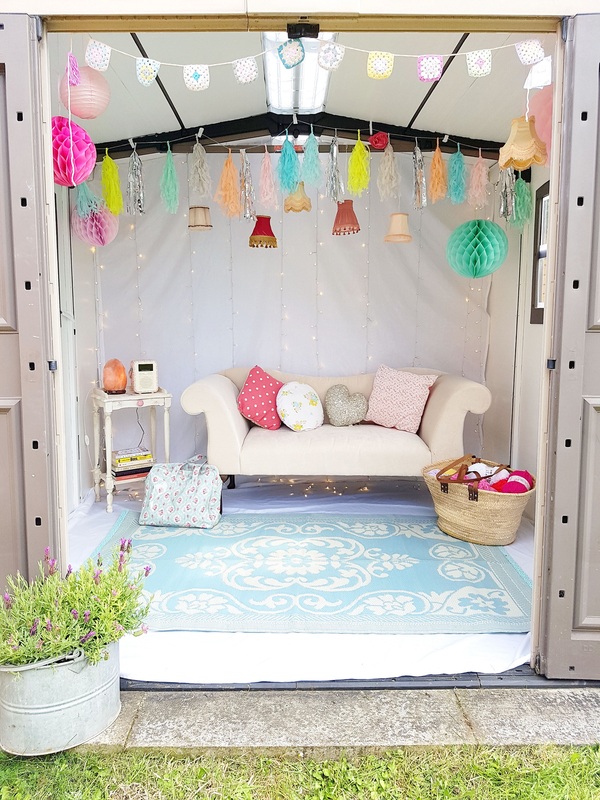 One brilliant way to spruce up your outdoor space is to create your very own home away from home in your garden by introducing a summer house. 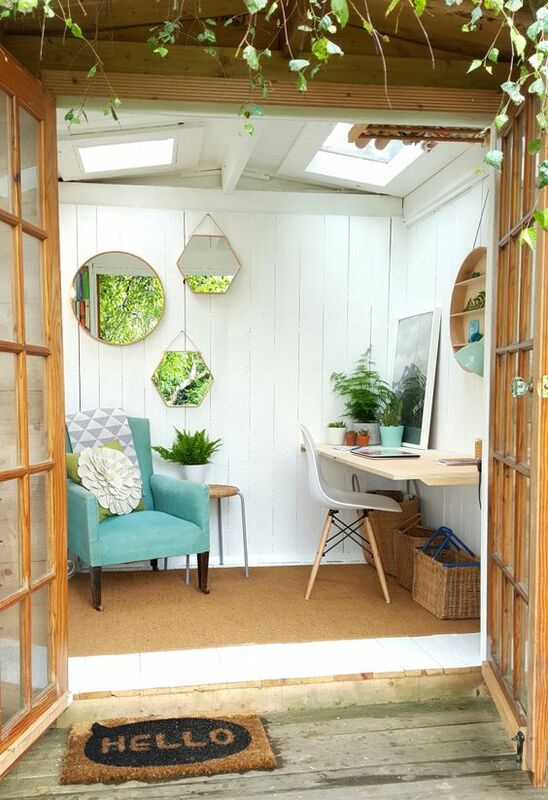 Often used as a cosy garden hideaway, a play room for the kids or even a peaceful garden office, a summer house can easily be adapted to suit your personal needs and style. 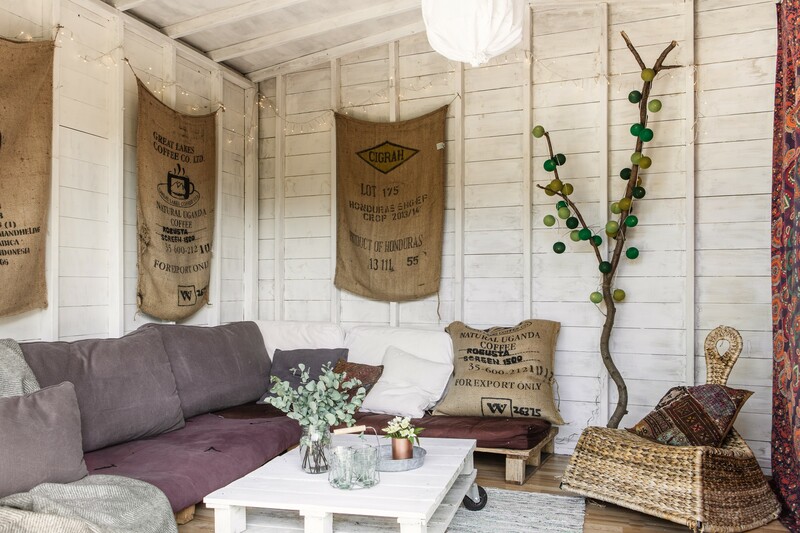 Whether you desire a summer house that reflects the interior style of your home or want to be a little more daring and introduce a fantasy interior style of yours, there are plenty of ways to create a wonderful garden retreat that’ll suit you down to the ground. The LuxPad asked a collection of interior experts and bloggers what their dream summer house interior looks like to provide you with a variety of different design ideas. 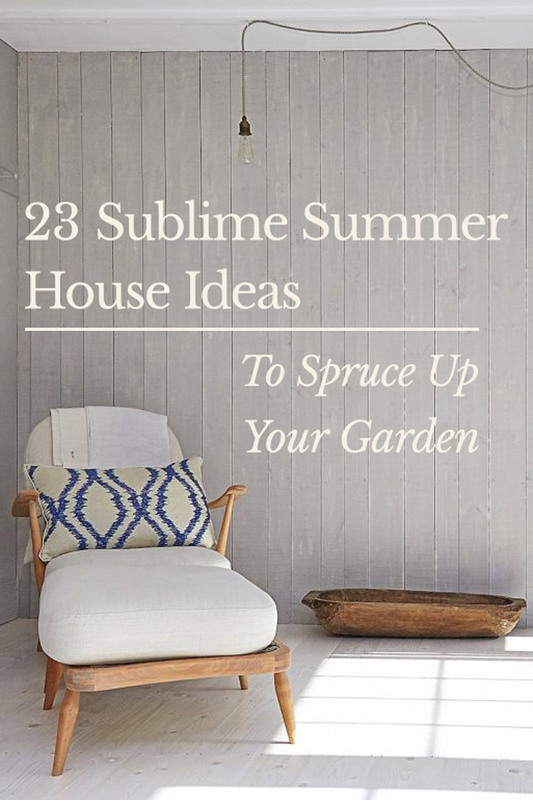 From coastal inspired themes to Scandi style interiors, find the perfect way to decorate your summer house in time for the heatwave. Getting a summer house was one of the best investments I made when I moved to my house three years ago. It’s like having another room to style and fill with beautiful things and makes a great place to sit with a glass of wine and ponder the day. I’ve gone for a very colourful, eclectic look in mine, as I wanted it to have a beach house vibe. Painted and reclaimed vintage furniture is mixed with jewel bright velvet cushions for maximum lounging, and storage is provided by old trunks and cabinets. I’ve also hung fairy lights for a truly magical outdoor space. 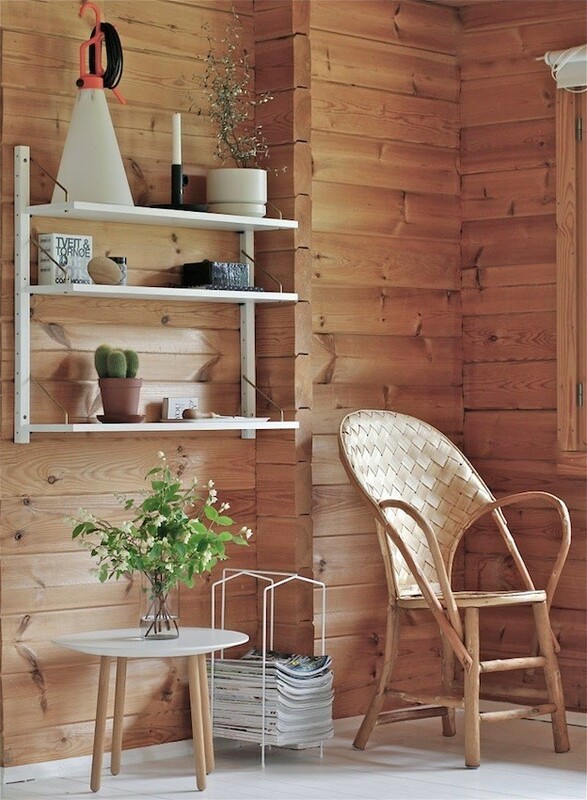 For me, a summer house is all about simplicity, a back to nature space where you can relax, switch off and not look at your phone or computer. I would have a lot of timber cladding and some comfy seats with a massive stack of magazines so I can waste my time away. Some simple shelving will hold some plants and other decorative bits. Ideally, the house would have a small veranda with an outdoor kitchen so you can have your friends over and cook simple meals on a wood fire while seeing the sun set. Master the art of minimalism and utilise space to the maximum with fold-out tables, clever shelving displays and storage boxes. Keep the decor light and bright to avoid making your summer house interior feel any smaller than needed. Displaying mirrors is a great way to create an illusion of more space, and adding a plant or two will help bring the outside in, to create a calming, botanical atmosphere. As soon as I saw the pictures of Jeska from Lobster & Swan’s amazing garden retreat, I fell head over heels in love. This space has everything I would want in a summerhouse – rustic wood walls, a comfy day bed for curling up with a book, lots of beautiful greenery and a mini bar for making cups of tea or G&Ts. It’s cosy and comfortable and full of decorative details that make it feel welcoming, such as framed prints on the walls and a mix of patterns. An extra room to enjoy and the perfect escape from reality, for me a summer house must feature deckchairs, bunting and white-washed wood. Bringing back memories of happy days spent at the beach, you can’t go wrong with pared-down decor and sky-blue accessories. Keep everything comfy with luxurious throws and cushions, perfect for cosying up with as the sun sets. There is no denying the appeal of rustic shacks trimmed with blowing bunting and wisteria adorned windows; but we are crushing on a summer house with a cooler concept, designed to keep us warm in those transitional months! The absence of colour is notable, the palette is purposely calming – neutral tones punctuated with varying shades of grey. 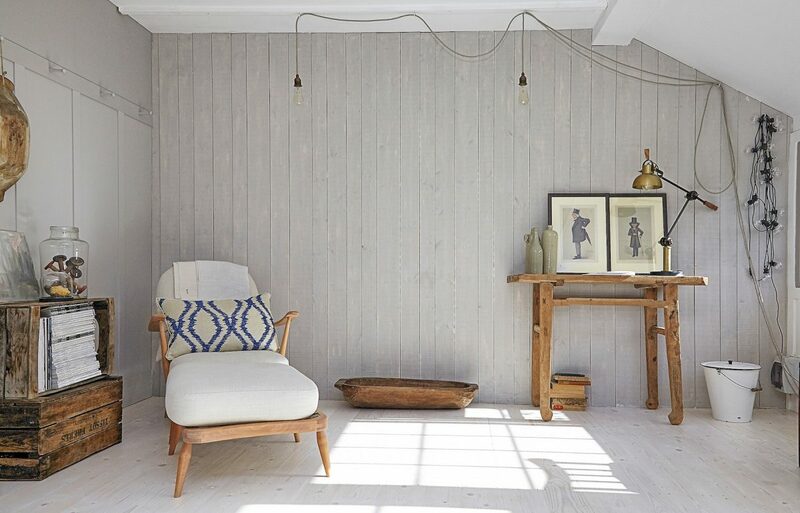 The white-washed floorboards lend a beach chic vibe, along with the subtle ship, complete with hessian sails. A cool space in the summer, warmed by a central wood burner on chilly evenings. 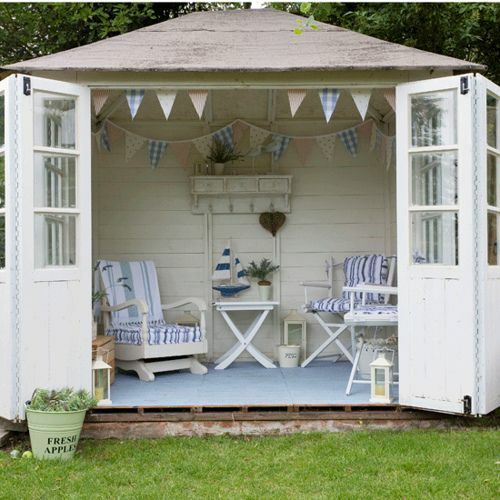 I’ve chosen photographer Cathy Pyle’s recent summer house makeover for its laid back simple charm. Cathy thrifted her makeover on a tiny budget; using just white paint for the walls and making use of palettes for both the coffee table and as a sofa base, to house the spare cushions from an old sofa she had replaced. It’s a quiet, creative space with a Scandi feel, decorated with natural sack cloths and pops of green from the garden with Cathy’s keen eye for composition. 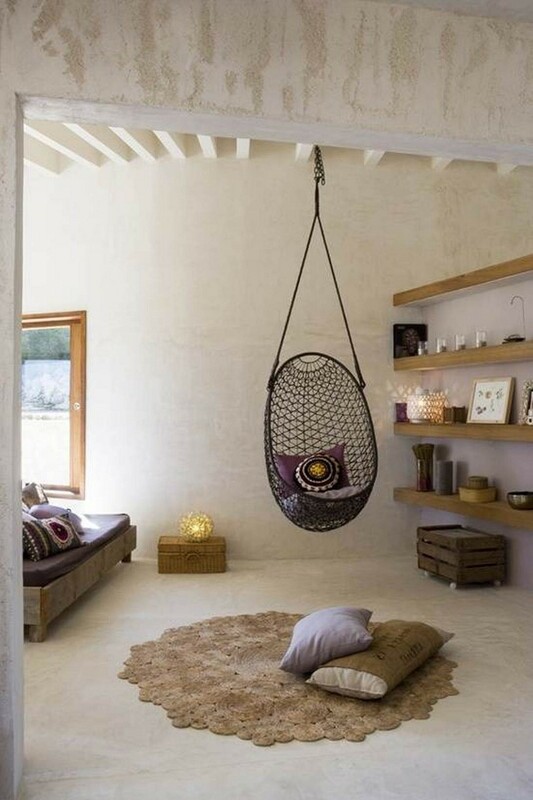 It is as near to an elegant rustic summer house interior with a bohemian feel as I can imagine. 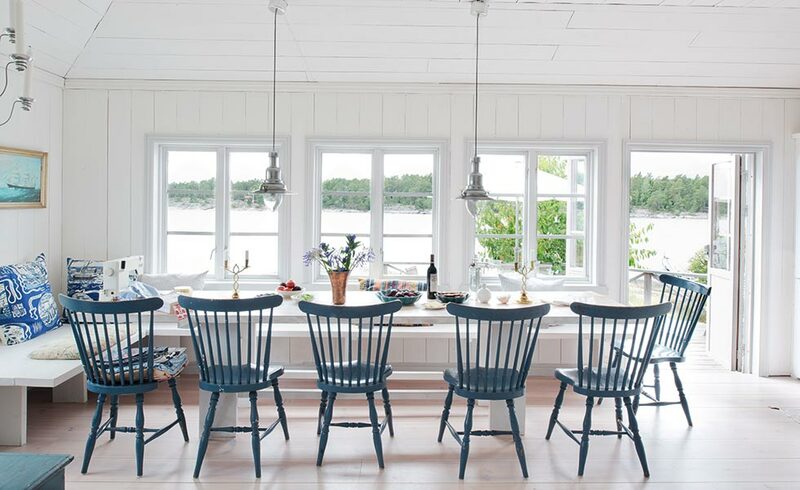 Summer houses should be light, bright and versatile. Furniture should be movable to be put outside the house as the weather and guest count demands. These chairs can go outside and the seat benches could be filled with cushions for an afternoon snooze too. Leave your windows free of curtains (unless you need privacy) as this will only block the view. Don’t over-fill your summer house – space is good for the kids running inside and out! Add bright colours to match the vibrancy of the outdoors – it’s about feeling at one with your environment. 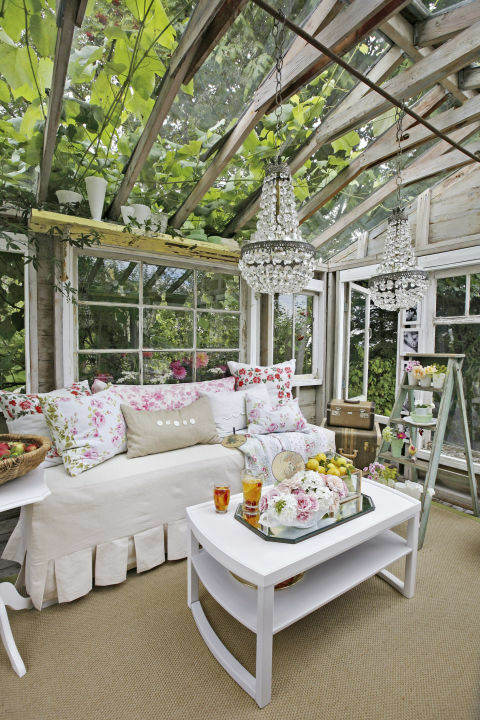 The summer garden house is becoming more and more popular and for a good reason. It is a place where you can go and switch off and do whatever you want. It is a home away from home. I absolutely love this shabby chic summer house with the beautiful blues and the original features. The stained glass is simply beautiful and I can imagine the natural light shining in would make it the perfect place to feel relaxed and get inspired. It would definitely be a place where I would love to spend time blogging or simply reading a nice book. 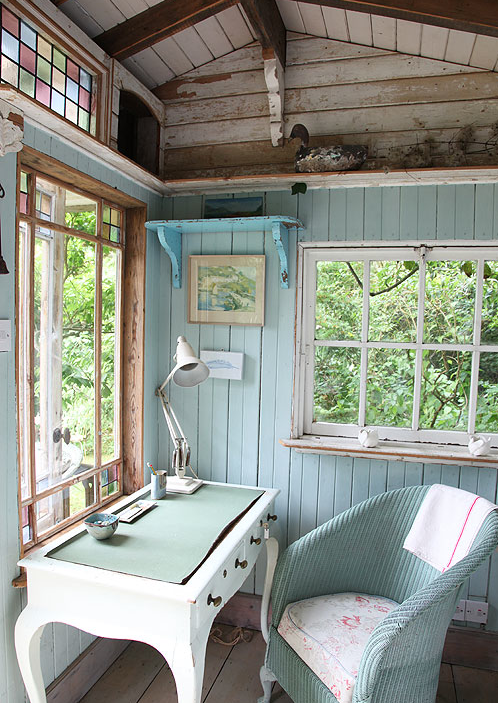 My dream summer house belongs to award-winning interior blogger LucyLovesYa. It goes to show that garden buildings don’t need to be shed-treatment-brown; this pastel blue reminds me of the sky on a sunny day. The fresh white interior turns the building into an extra room in the garden and not just a space to store spades and spiders! 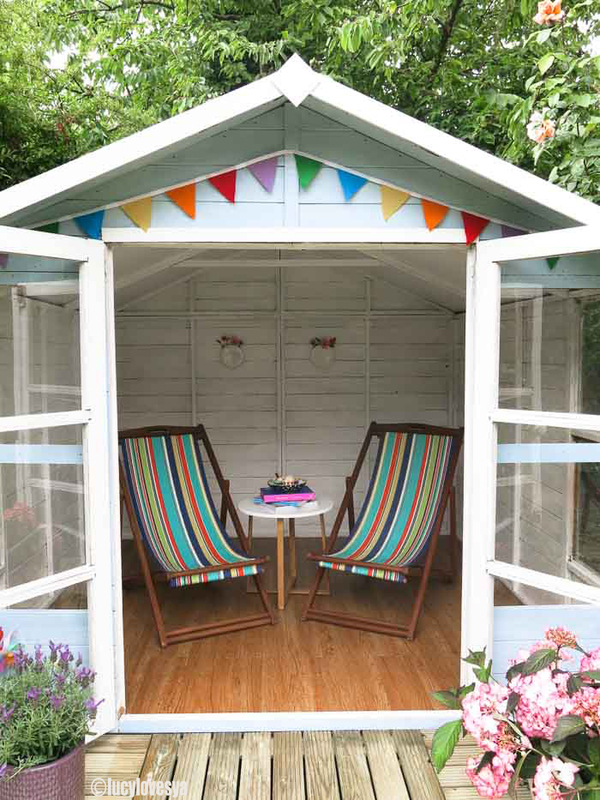 The thing I love most about it is the way that Lucy has styled her summer house with rainbow accessories; the bunting creates a summer party atmosphere and I’d just love to lounge on those striped deck chairs with an ice cream, imagining I’m at the beach. 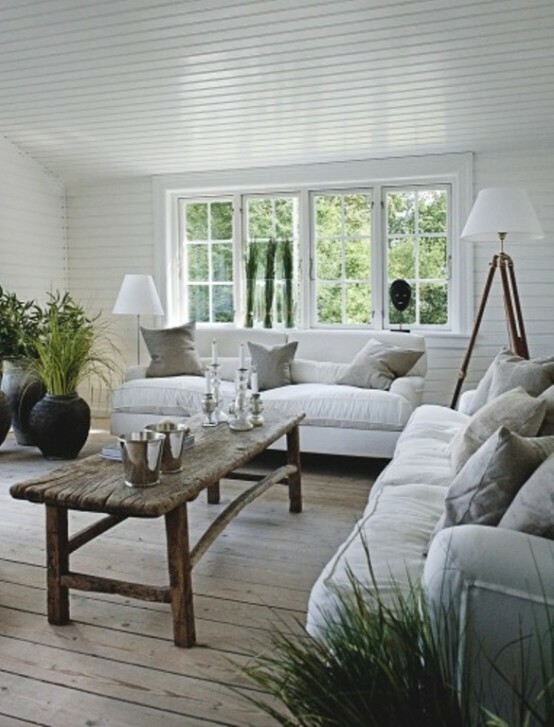 When styling a summer house, you need to consider how you are going to create a welcoming and social retreat. A great way to achieve this is through soft furnishings. By adding a sofa that you would typically find in your living room, you are instantly enticing your guests into the space. In addition, a rug situated in the heart of the room as well as cushions and throws will create a relaxed vibe. Upcycled furniture sourced for free such as palettes also provide you with an opportunity to be creative and build anything from a coffee table to a drinks and bar area. I’ve recently just made over my own shed and I love it. What I did was painted the walls white and used flat white sheets to hide all of the junk. I added an outdoor mat from Rice DK, some paper party decorations, a crochet garland and a tassel garland (similar can be picked up on Etsy). I hunted out some vintage lampshades from eBay and charity shops and taped them up. Lastly, I added a light curtain, a salt lamp, somewhere to sit and a Bluetooth radio so that I can listen to my favourite podcasts. 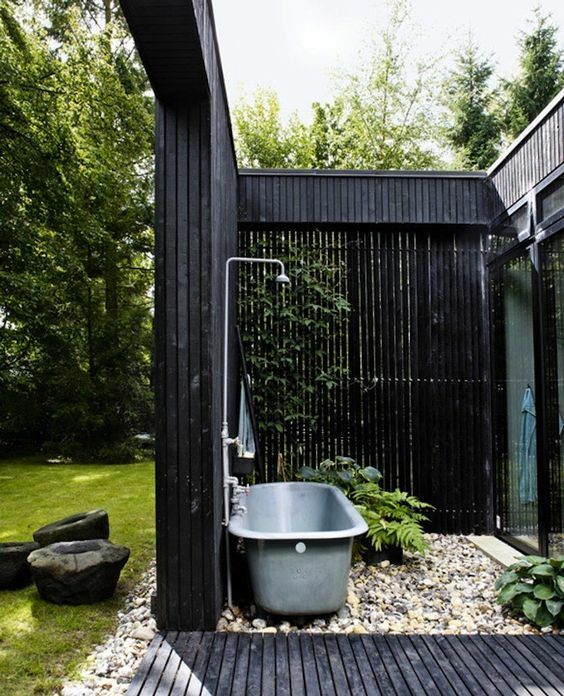 What better way to celebrate summer and be at one with nature than with an amazing outdoor bathroom. I love the idea of connecting with your surroundings and making the outside a part of your home. It’s reminiscent of tropical holidays and has an almost magical feel. Using a combination of different materials and textures along with lots of plants is a great and easy way to create a welcoming and luscious space to relax and enjoy the (hopefully) gorgeous summer weather. 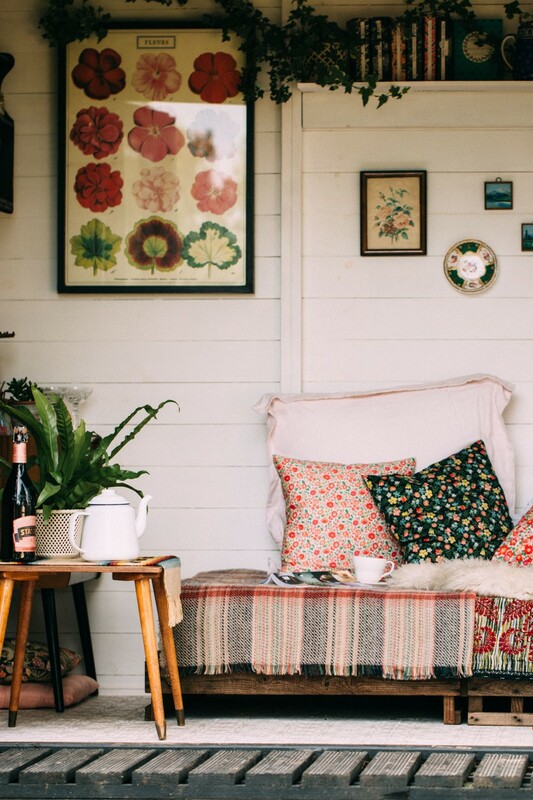 Since the trend to demonstrate that summer houses can be just about anything from an office to slick studio space or teenage retreat, I feel we have forgotten the real beauty of a summer house – being that little bit closer to the outdoors. For me, we need to remind ourselves of that and start incorporating more nature back into these spaces so that they connect with the garden as opposed to stepping into a room that could be any other in your home. Choose a design with lots of windows so plants will thrive and let nature do the decorating. Then imagine curling up with the door slightly ajar whilst the rain falls, with a pot of tea and a book, knowing you are still in the garden – well, almost. Transform your summer house into a peaceful haven, a simple, uncluttered space perfectly designed to relax and watch the world go by. Choose warm wood, set against light, clean colours to create a fresh and cosy atmosphere. A comfortable day bed and statement swinging chair take centre stage, accessorised with beautifully detailed cushions. Enhance the calm atmosphere with scented candles and a few favourite books – so inviting you won’t be able to stay away. I grew up always thinking that glass conservatories were a thing of mystery, and not in a good way. Freezing cold in the winter to the point that I’d run through at breakneck speed to avoid frostbite and then like a sweaty sauna in the summer months that bleached everything in sight. 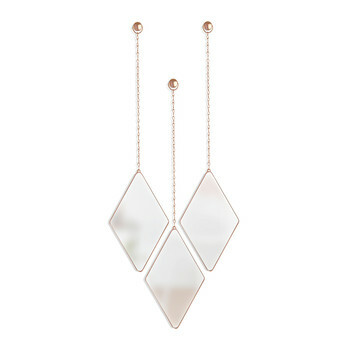 But times and the technology has changed and so has my perception of these glass wonders. Now I couldn’t imagine anything more magical than sitting in my very own glass summer house, nestled among the apple and cherry trees in our garden. In my dreams, there’s whitewashed floorboards, greenery hanging from ceramic planters from the roof beams and an oversized armchair, with a butler tray to one side and a basket bursting with my favourite magazines to the other. And maybe a bed…bliss. Minimalistic style interior, warm, wooden cladding walls and ceiling, big glass doors which could be open or closed depending on the weather and of course a fireplace. 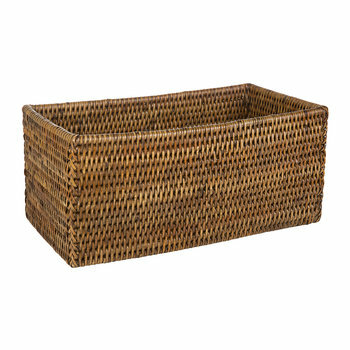 This is the perfect combination for a cosy and easy to maintain summer house. 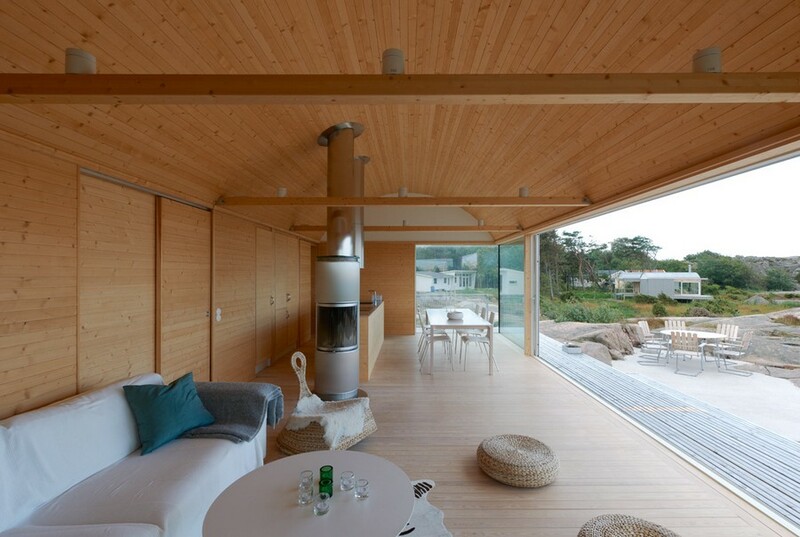 This summer house is a location venue from ShootFactory. Yes it’s simple, but it’s clever simple. 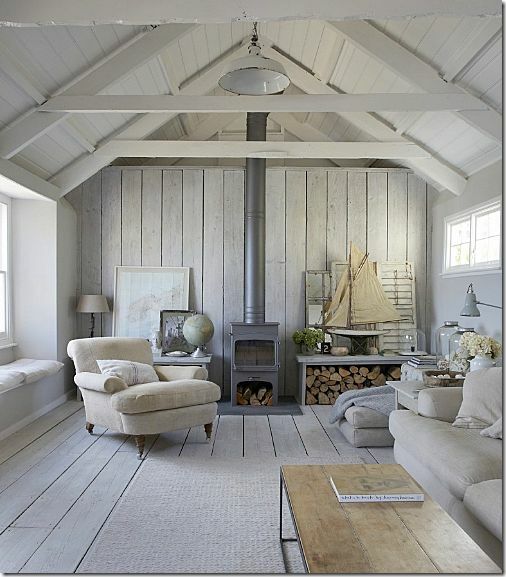 There’s lots of natural texture and the oak furniture and re-purposed storage crates warm up the pale grey backdrop. It’s elegant, but nicely artless at the same time – not too obviously styled, but very cleverly put together all at the same. That’s because the furnishings play about a bit with scale – several of the pieces are bigger than you might expect. I love the warm wood, supersized table lamp and those vintage prints. And that chair is the perfect invitation to soak up the light streaming through the window. Not strictly a garden room – more of a garden temple! Everything in this image shouts chill and relax in style. The monochrome colour scheme working inside and out is perfect – nothing is too fussy or overly designed. You can’t see inside, but if I were to design the interior it would continue with the colour palette and sumptuous cushions. I’d include a deep modular sofa extending around the inner walls, spiced up with a pop of colour in scatter cushions and throws. Those curtains are just waiting to be drawn for a siesta! I always think summer houses should be light and airy, bringing the outside in but ensuring they also have that cosy feel. Rather than plastering the wall and ceiling, consider putting in wood panelling to add interest and then paint over. Laying a real wood floor will not only warm the room but will add character too. 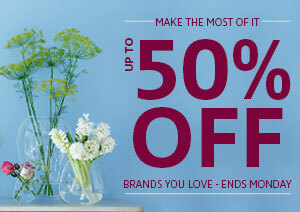 Adorn the room with large potted plants to help bring the outside in. Make sure you have plenty of side lights for ambient lighting. Lastly, add a large comfy sofa or two, ideally facing a large sliding door, and you’ll never want to leave. This French Summer House is decorated with Flea Market finds and vintage furniture. When it’s the height of summer, we tend to crave a softer design aesthetic, something more tactile with a more relaxed feel and lots of natural materials. 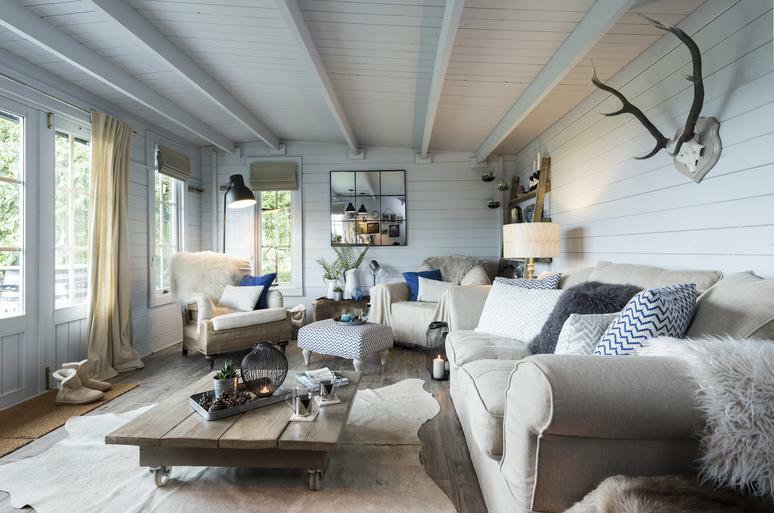 Summer houses and cabins decorated in this rough-luxe design style are perfect for that barefoot luxury type feel that long sunny days and warm summer nights evoke. What I love about this room are the chalky tones and white chalky walls, but it is punctuated with a deep Marigold coloured fabric on the sofa and some navy cushions. Blue and yellow are the epitome of summer decor, nature’s complimentary colours. 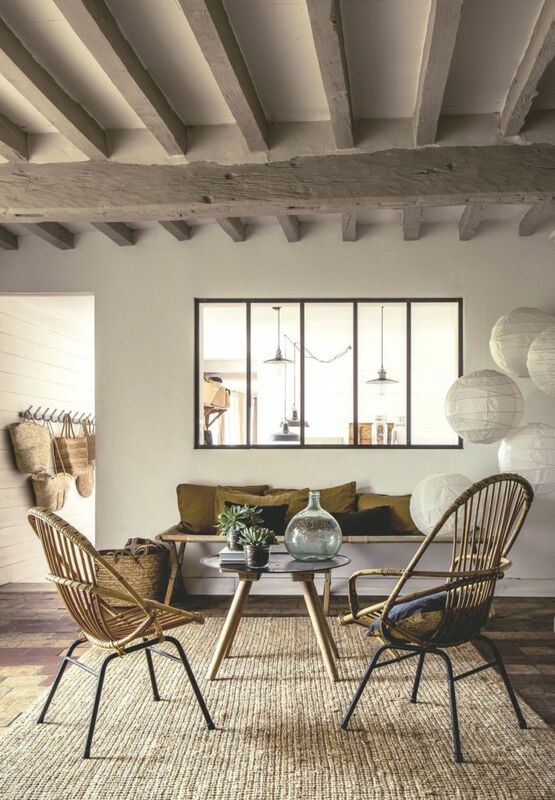 The feature rattan armchairs add a cool, bohemian vibe – rattan chairs are a huge trend this summer ’17. This wonderful guest house designed by the extremely talented D Stanley Dixon Architect and Tillman Long Interiors feels like a perfect summer house to me. The multiple French doors along one wall (facing out to the garden) let in lots of light and can be opened right up for that indoor-outdoor living that you want from a summer house. I always love having something special with the architecture in smaller rooms to avoid it feeling too boxy – here, the vaulted ceiling adds height and light and makes the space feel much larger. This, combined with the shiplap cladding on the walls and vaulted ceiling is my favourite feature of the room. 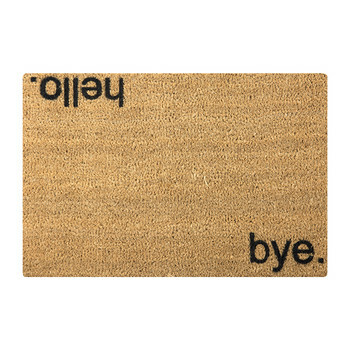 It lends that beachy summery vibe and is hard wearing and easy maintenance. A beautiful fireplace and comfortable furniture upholstered in relaxed linens pulls the space together. This summer pavilion is the perfect retreat to escape from the madness of daily life and this one is used as a multi-use space for a home office, children’s play area and yoga studio. I love the simplicity of the design; it has a Japanese feel to it with the charred cedar cladding exterior, contrasted with a light birch plywood interior. The plywood is also used for built-in furniture, including window seats, shelving and a desk to create a beautiful design that fuses dark and light seamlessly. 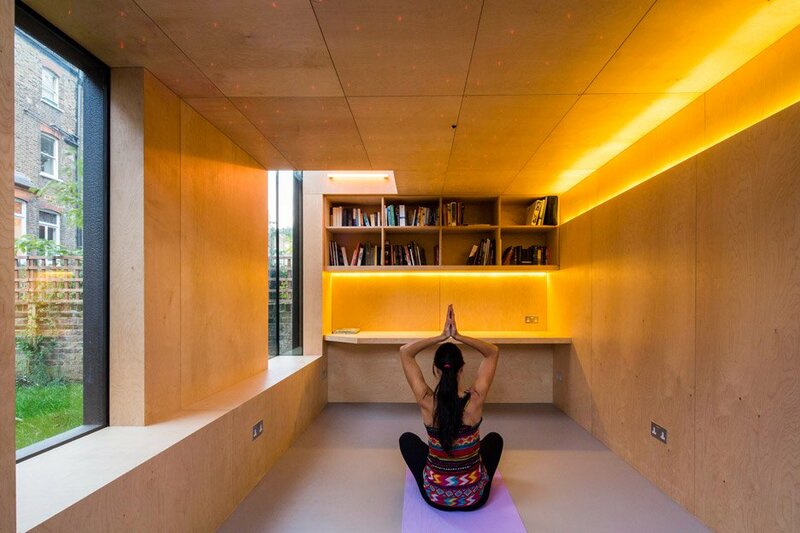 The warm LED lighting creates a relaxing atmosphere when used for yoga and the uncluttered interior provides an ideal environment for maximum productivity when used as an office. This architectural design is a perfect example of how less is more. To get this look you can utilise traditional Japanese Zen philosophy into your summer house interior. Make the most of the natural light and greenery in your garden by strategically positioning your summer house so that the windows take advantage of the sunlight and views. Keep the interior very minimal and pick materials that contrast each other in either texture or colour to represent the paradoxical ideas often explored in Japanese design. After indulging in this dreamy ensemble of garden summer house ideas, we hope you feel motivated to step outdoors and introduce a new dwelling to your garden space that’ll have you enjoying evenings outside for seasons to come. 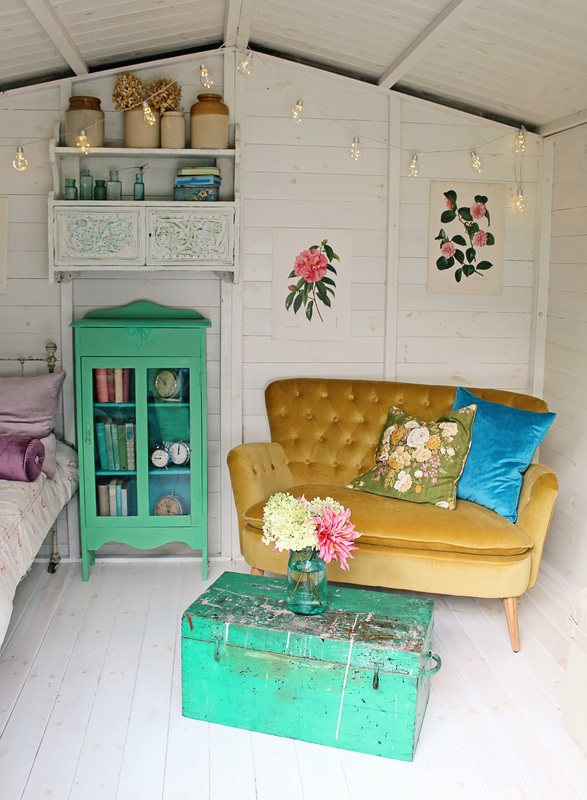 I absolutely love Tamsyn Morgans summer shed! Just perfect place to relax! Also Nicolette Lafonseca’s choice is so beautiful and so full of plants, love it!